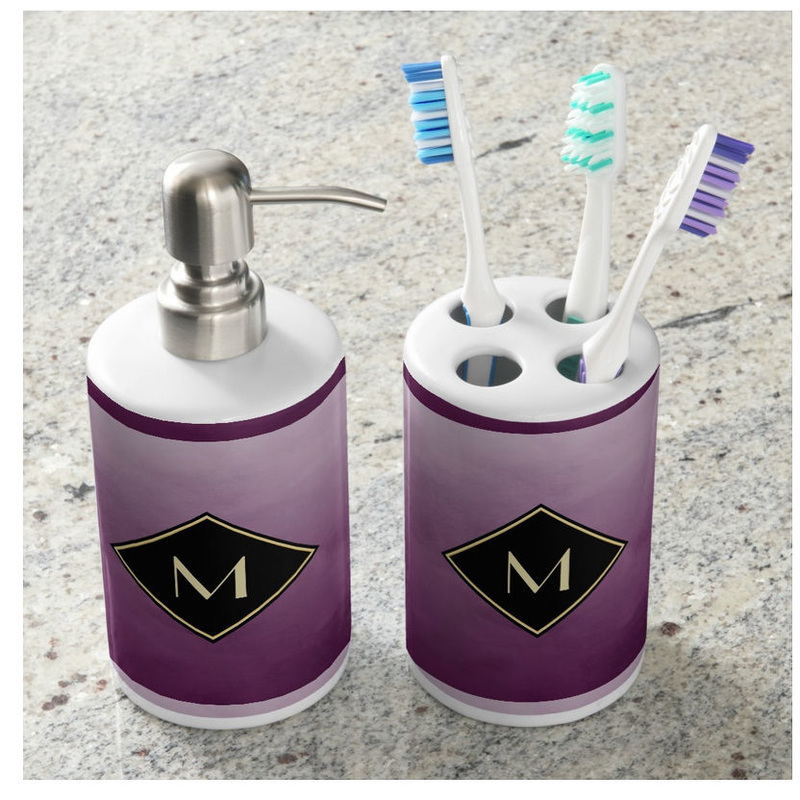 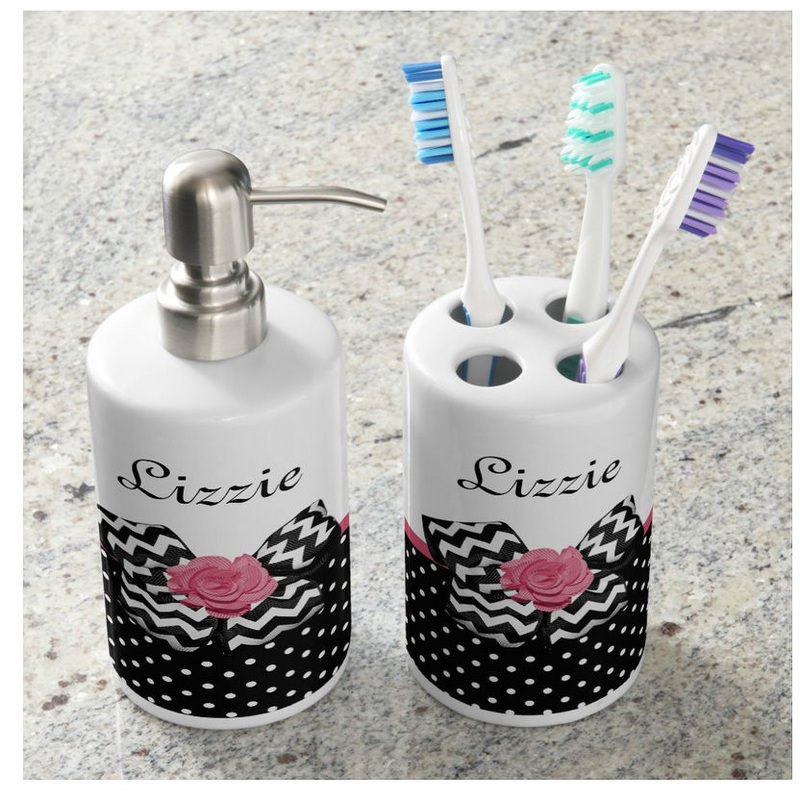 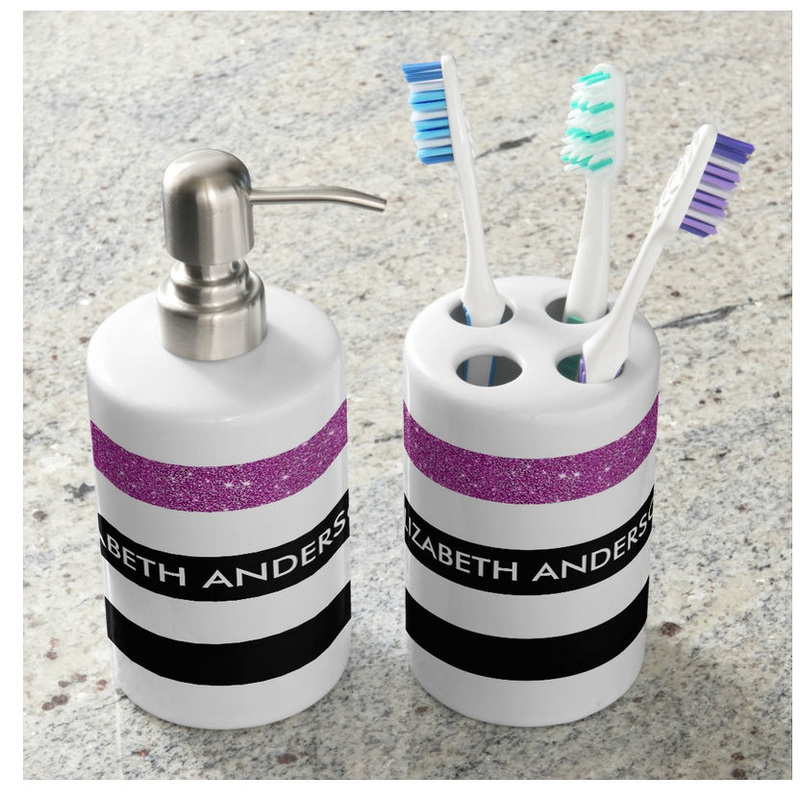 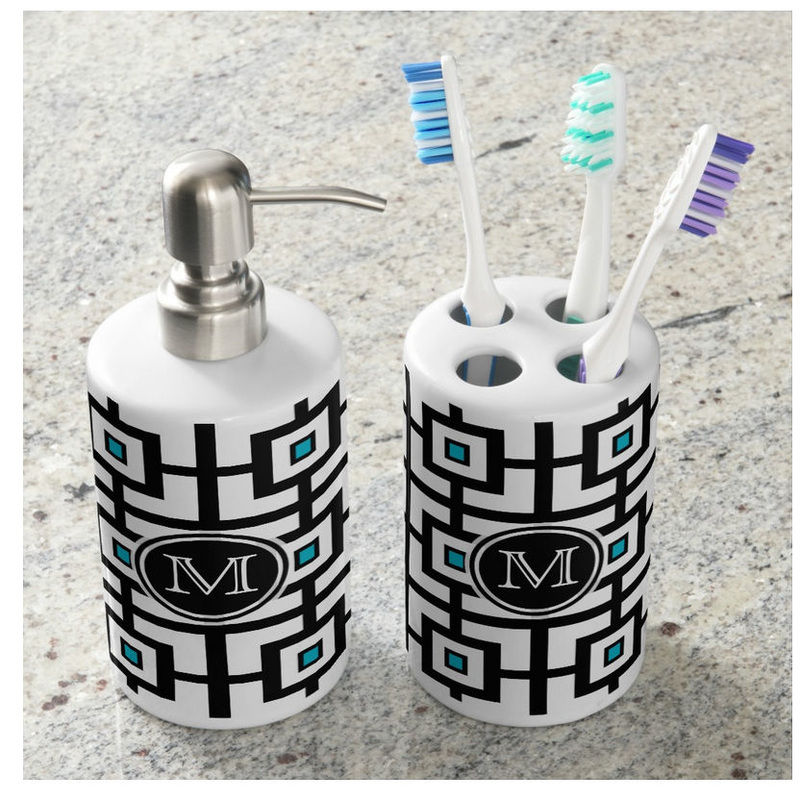 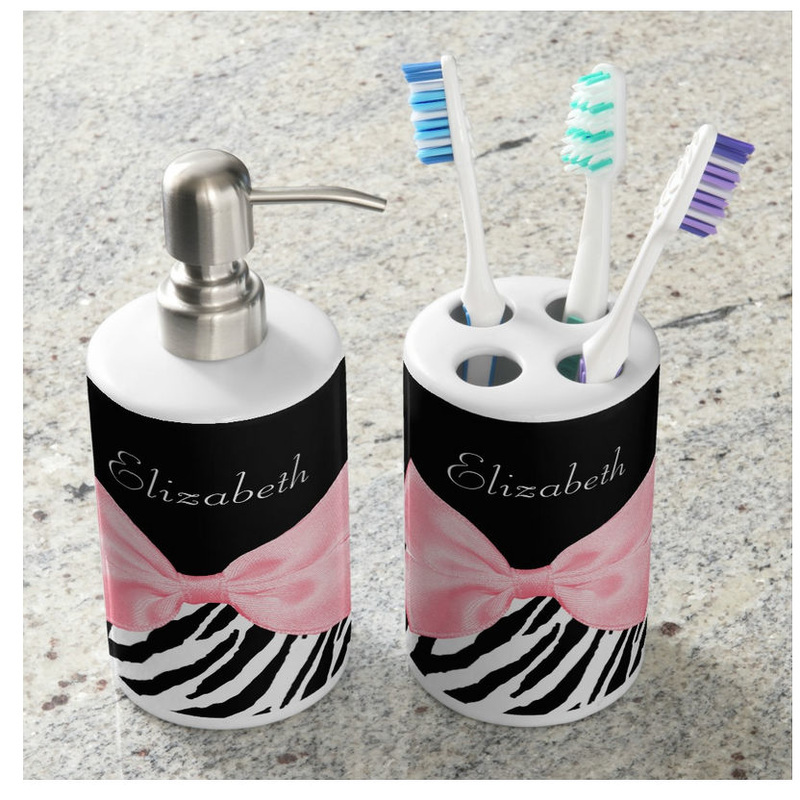 Personalize your own toothbrush holder and soap dispenser to add a little fashion and flair to your daily bath routine. 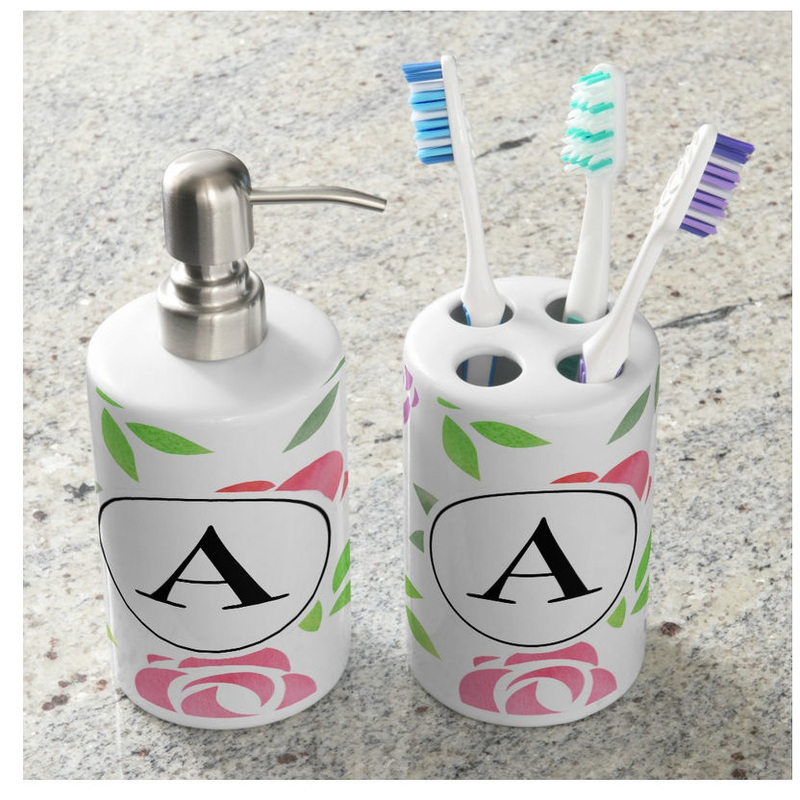 Made with ceramic, this two-piece bathroom set can be personalized by adding the name or monogram of any girly girl. 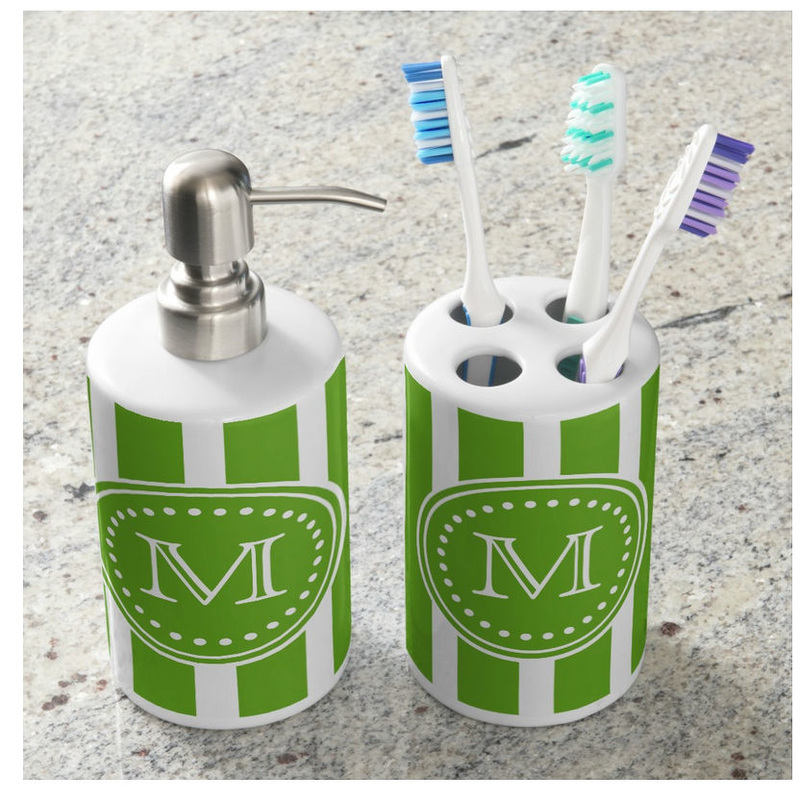 Dimensions: 4.7"h x 3" outside diameter (toothbrush holder), 6.95"h x 3" outside diameter (soap dispenser). These gorgeous sets are printed in full photographic quality color. The base of these pieces are made with ceramic, and the dispenser top is made with stainless steel. The toothbrush holder has space for 4 toothbrushes. 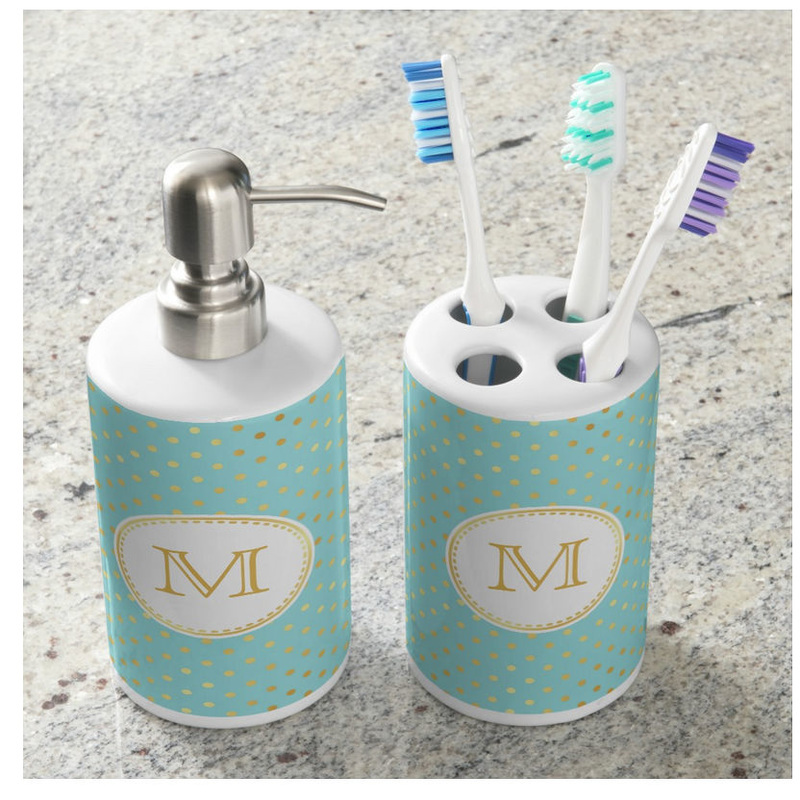 Shipped as a 2-piece set, cannot be separated. The designs are identical on both pieces.